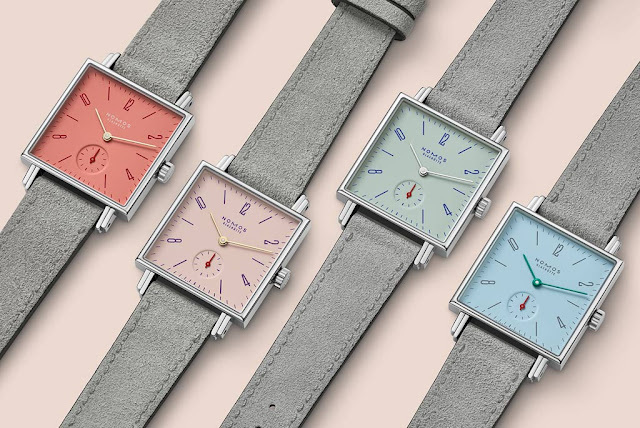 The Tetra Petit Four series by Nomos Glashütte consists of four new colourful Tetra versions: Grenadine, Pearl, Matcha, and Azure. 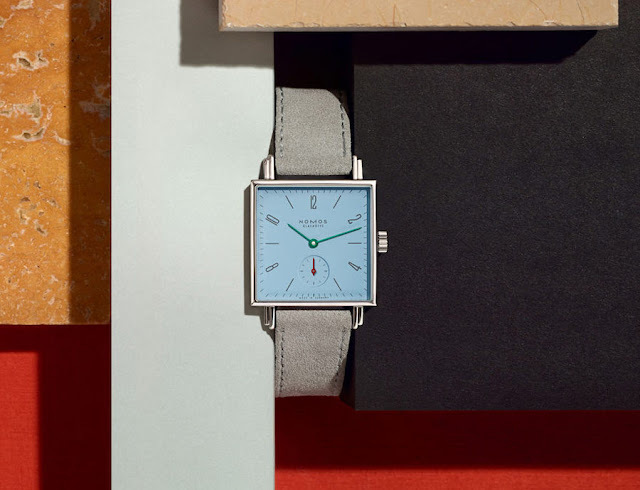 Crafted from stainless steel, the 29.5 mm x 29.5 mm square case frames a dial characterized by beautiful colours (grenadine red, pearl pink, matcha green and azure blue), contrasting sans-serif numerals and minimalist baton hands (gold-plated, rhodium-plated or green). The watches are just 6.25 mm thick thanks to the slimness of the movement inside, the 3 Hz (21,600 vph) Alpha calibre, in-house built by Nomos in Glashütte. 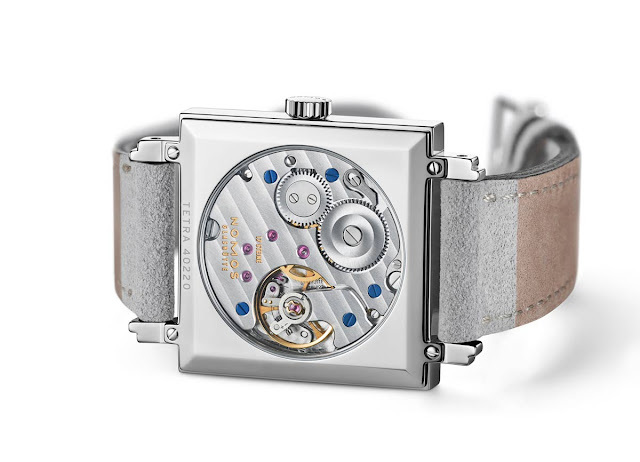 Adjusted in six positions and decorated with Glashütte ribbing, tempered blue screws, and perlage, the hand-wound Alpha calibre has 43 hours of power reserve. In two of the four watches, Tetra Grenadine and Tetra Pearl, the movement can be viewed at work through a sapphire crystal glass back. 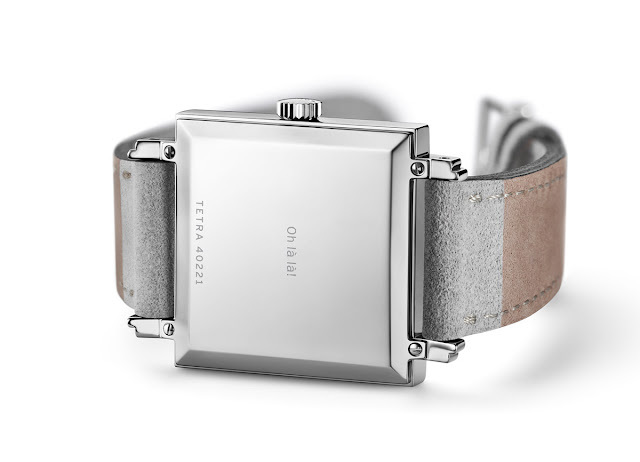 The two others, Tetra Matcha and Tetra Azure, offer space for a personalized engraving on their stainless steel backs. 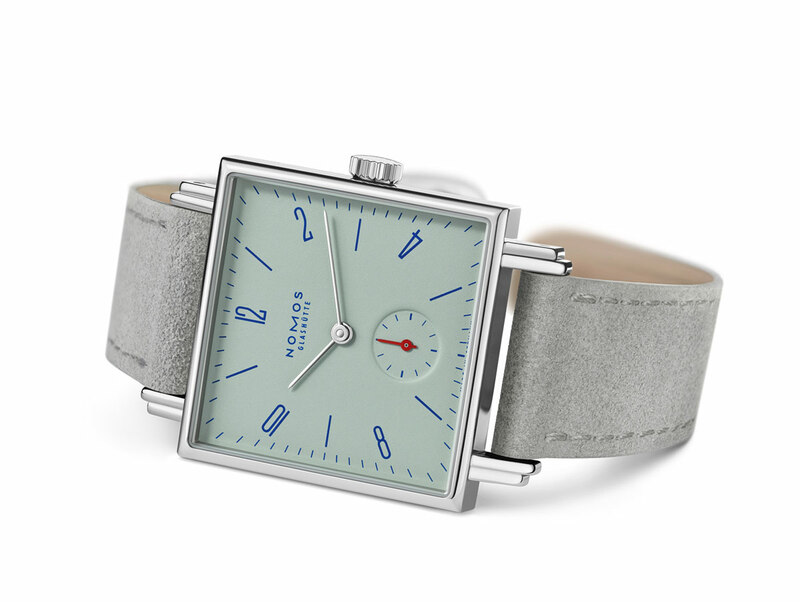 Baselworld 2018. 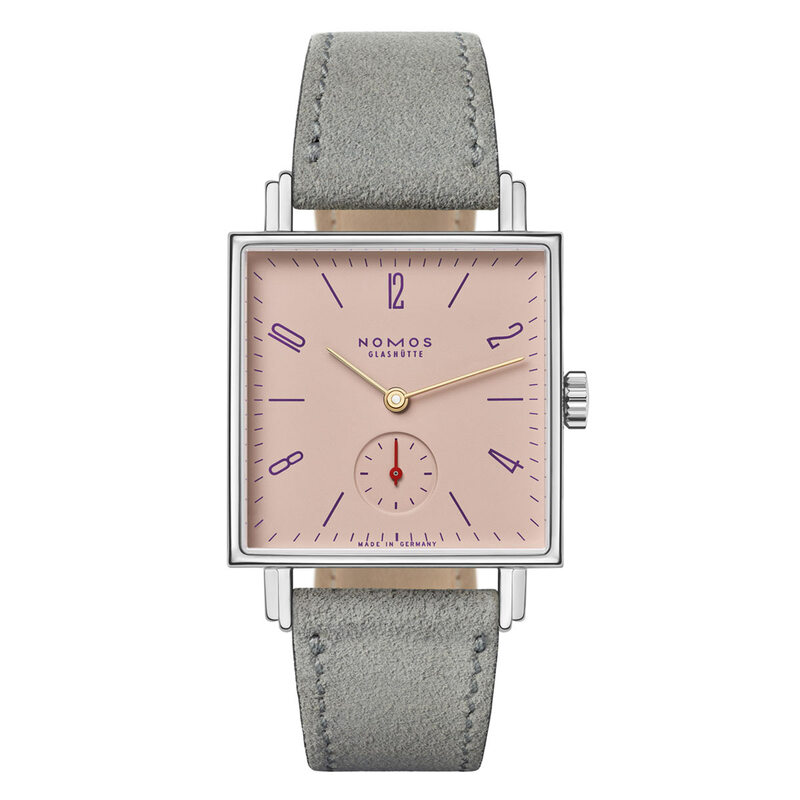 Nomos Glashütte - Tetra Petit Four. 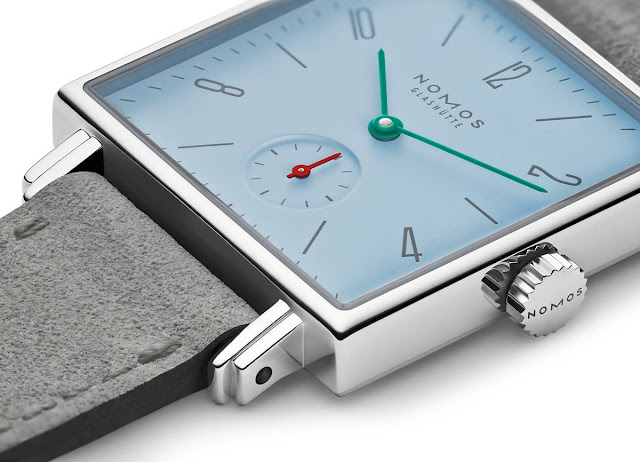 The Tetra Petit Four series by Nomos Glashütte consists of four new colourful Tetra versions: Matcha, Azure, Pearl, and Grenadine. 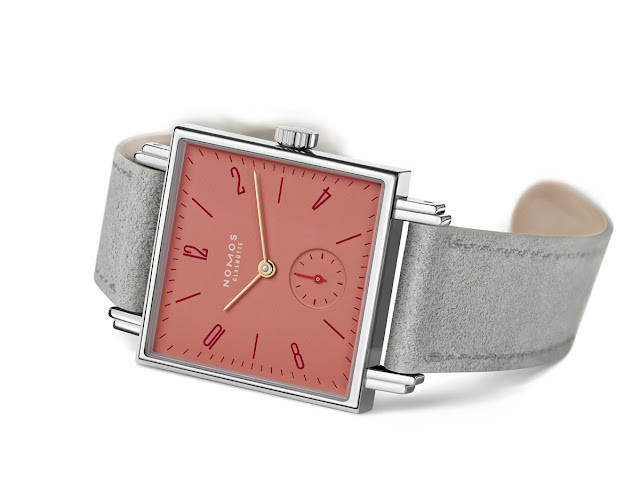 Each watch of the Tetra Petit Four series has a price of Euro 1,700.